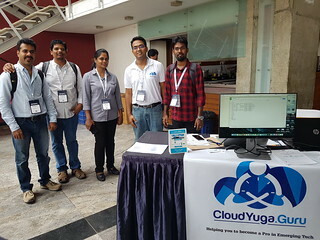 In the earlier blog post I mentioned that I would be doing a Kubernetes workshop and CloudYuga would be having a booth at rootconf’17. On both conference days (11th and 12th May) I was at the booth and interacted with the participants. 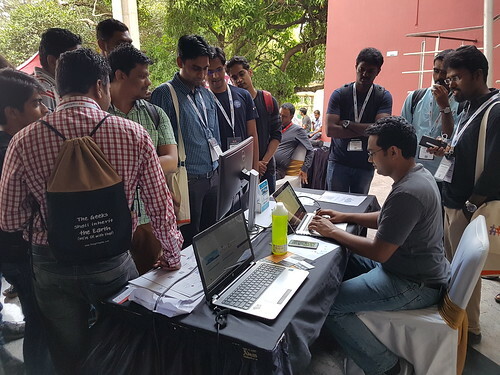 I could not even attend a single talk at the conference. Though I have been behind the booth for Red Hat earlier but this was special. With the RootConf participants I shared the details about the work we do and the trainings we offer to corporate and individuals. On both days we did a lucky draw and gifted access to our online courses. 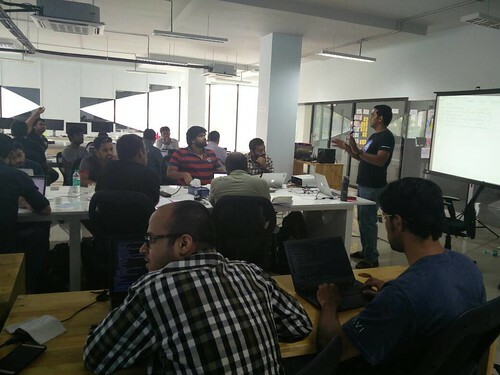 As a part of conference I did a Kubernetes 101 workshop on 14th. 27 Participants attended the workshop. It was fun filled last few days. Though they were tiring but gave us great experience. I must say building the marketing collateral and sharing it to people is a difficult task. I am glad that we could pull it off :).